"The new-look Wales had an exciting approach on Thursday night and a repeat performance would give them a chance of taking something against the low-scoring hosts." Denmark's top players sat out Wednesday's 3-0 friendly defeat in Slovakia amid a dispute over commercial rights but they will return for this Nations League match in Aarhus after agreeing to talks with the Danish FA. Led by Tottenham's Christian Eriksen and with Leicester City's Kasper Schmeichel in goal, Denmark reached the last 16 of the World Cup before going out on penalties to losing finalists Croatia. 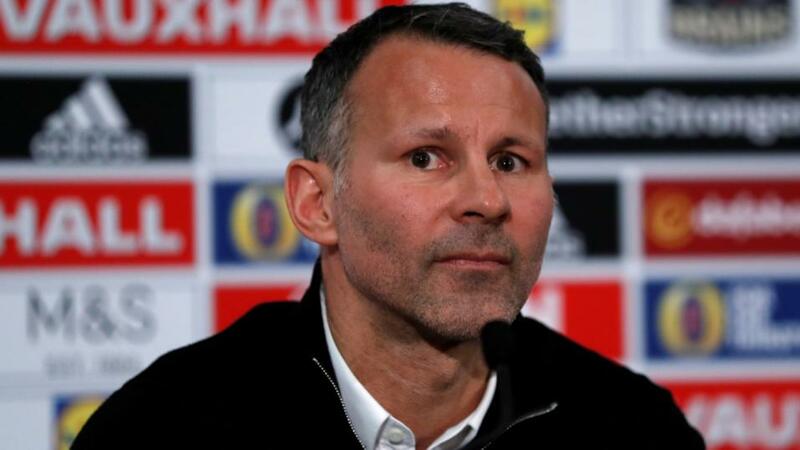 Wales got off to a flyer in the Nations League - and Ryan Giggs' first competitive match - with a 4-1 home win over Ireland on Thursday night. Giggs' team was much changed from the side that faced the same opposition in Chris Coleman's last competitive match, and considerably younger with the inclusion of Chelsea teenager Ethan Ampadu in midfield, defenders Connor Roberts and Chris Mepham and Bournemouth midfielder David Brooks, all making their competitive debuts. Giggs will be tempted to give many of them a second go, although this is a quick turnaround and he can call on the experience of Chris Gunter, James Chester, Joe Ledley and Sam Vokes. Denmark faced both finalists at the World Cup, having been runners-up in France's group before their elimination by Croatia. The 90-minute score was level in both matches - a stupefying 0-0 against France, when a draw suited both teams, and 1-1 against Croatia. The Danes are now unbeaten in 13 competitive games after the late run of form that took them to the finals in Russia, although they remain a low-scoring side with no more than one goal scored in eight of those 13 games. With their lack of a top striker, Denmark are built around Eriksen in a 4-3-3 formation that allows him to push forward and he has scored six of their last 10 competitive goals. Wales have their own world-class talisman in Gareth Bale, who was on target with a tremendous strike against Ireland, and they have lost only two of their last 15 competitive matches with the Real Madrid star in the starting line-up. Those defeats came at the 2016 Euros against England in the group stage and Portugal in the semi-final. The new-look Wales had an exciting approach on Thursday night and a repeat performance would give them a chance of taking something against the low-scoring hosts. Wales look good on the double chance and at bigger odds on the draw no bet at [2.9]. Both teams tend towards under 2.5 goals, with all four of Denmark's World Cup matches in Russia falling below that mark (two were under 1.5 goals). The only one of their last eight competitive matches to go over 2.5 goals was the World Cup playoff second leg away to Ireland, when they hit the desperate hosts repeatedly on the counter-attack to win 5-1. Likewise, before Thursday's 4-1 win, Wales's last eight competitive matches had been under 2.5 goals. Bale tends to shift the emphasis, however, with eight of his last 15 competitive starts having had over 2.5 goals. Given Wales's positive approach on Thursday, under 2.5 goals looks too short.